Thermochrons are extremely popular with scientists, especially biologists, physiologists and botanists. The rugged, weather-resistant, stainless steel Thermochrons are ideal for tough research environments. 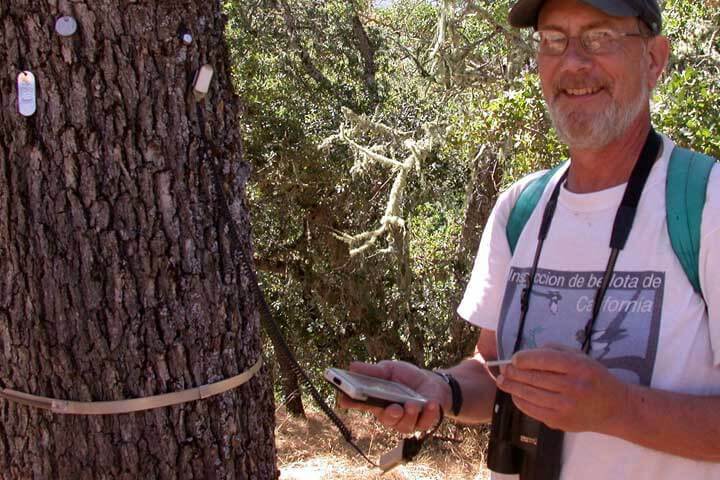 In California, Walt Koenig is using Thermochrons to investigate the puzzle of why oak trees produce acorns some years and not others. 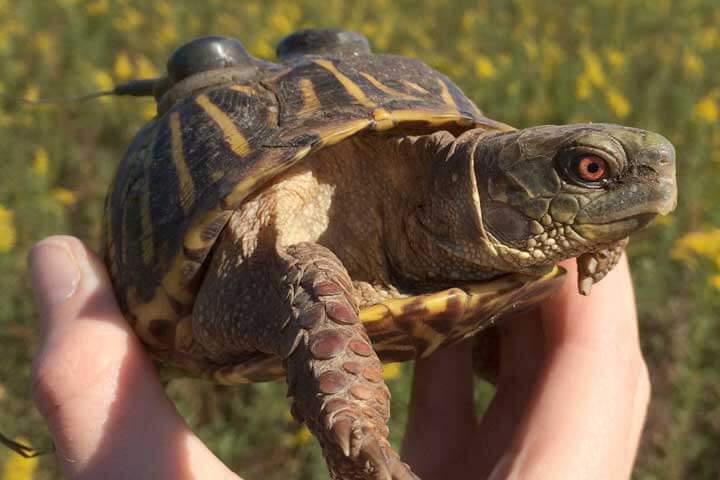 At Benedictine U in Illinois, Dr Leigh Anne Harden has been using Thermochrons in her work with turtles for over a decade. 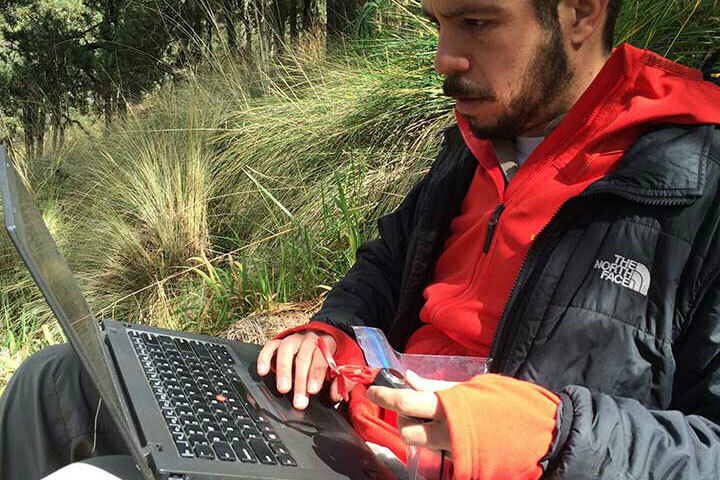 Paulo Quadri’s research into the effects of climate change on mountain forests uses Thermochrons to monitor microclimates. If you’re in the food handling business, you must be able to show that your food has not been exposed to the “Danger Zone” of 41°F to 140°F for too long. To achieve this, you need a Refrigerator Temperature Monitor which automatically takes temperature readings and stores them for review. Refrigerator Temperature Monitors can be as simple as a thermometer – the trouble with these is that you need someone around to check the readings and write them down. What happens overnight or on weekends when no one is around? The power could go out, your refrigerator could break down or the cleaner could use that electrical socket for their vacuum cleaner! A more modern form of Refrigerator Temperature Monitors is the Temperature Logger, which automatically takes and records readings. One example of this is the Thermochron temperature logger. This a tiny, battery-powered device that captures the temperature at a set interval (e.g. every 5 minutes) and allows you to check it again on a computer. We operate several coolrooms and freezers and the Thermochrons do the job for us without us needing to think or worry. We are able to easily monitor temperatures on a daily or weekly basis. We would recommend Thermochrons to any business that requires accurate temperature logging. We do Meals on Wheels service and are checking temperatures of meals from the time they leave our kitchen (dished into containers) to the time the delivery people finish delivering. We were told about the Thermochrons by the WCC Health Department. They are a good size unit which fits into the containers. They have been able to assist us in developing plans to keep the food hot / cold for our Meals on Wheels clients. 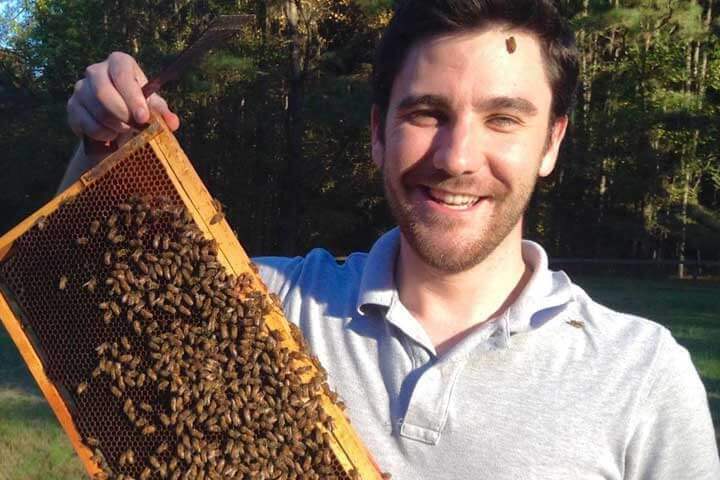 These people, and thousands before them, have had success monitoring the temperature of their refrigerator, freezer, and other food storage containers. The Thermochron DS1921G Refrigerator Logger is only $35. Take a look now. Cold Chain Monitoring is essential to ensure your temperature controlled supply chain remains within it’s accepted temperature range. Proper monitoring is especially critical for pharmaceutical transport, fresh food transport and chemical transportation. How do you validate the quality of your cold chain, and ensure your goods are always within their acceptable range? Even if your shipping company promises end-to-end conformance, that might not necessarily be true. We have heard many stories over the years of people with issues in their cold chain – goods would arrive in a ruined state, despite the guarantees that correct temperature was being maintained. The solution is to look into a temperature data logger. These small, battery powered devices can be enclosed with your shipment, and and the results analysed at the other end. Using computer a computer, you can see a graph of the temperature at every stage in it’s journey. This makes cold chain validation incredibly easy, and can play an important role in your quality assurance process. One customer of ours told us how their shipments to Japan were being ruined. When they put a logger in their shipping container, they discovered the source of the issue and were able to contain it very easily. They instantly saved thousands of dollars of ruined products, and more importantly, saved their reputation. A small investment gave them a huge return. We suggest you take a look at the Thermocron range of Temperature Loggers. These devices are as small as a coin, and can save you from many thousands of dollars of destroyed stock. There are also options for temperature and humidity models. Find problems before they become a problem. Save money. Save your reputation. The correct vaccine storage temperature is between 35°F and 46°F (we call this the “safe zone”). If you store them above this, their usable life diminishes much more rapidly. If you store them below this, you risk freezing them and killing the vaccine entirely. 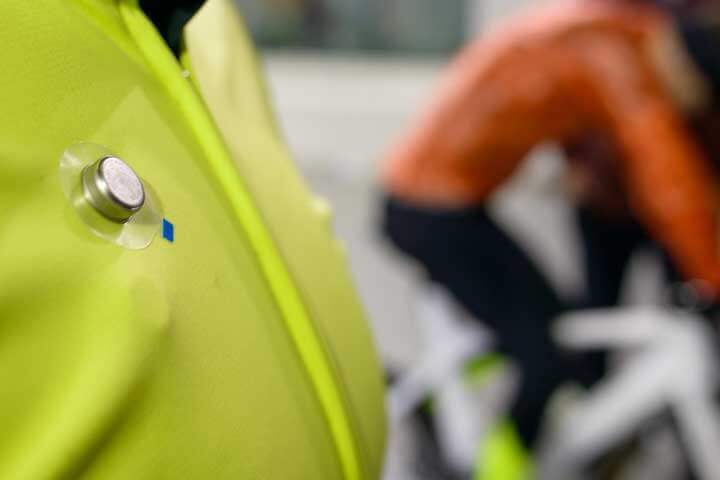 If any of your vaccines have been stored outside the vaccine safe zone, you should contact your supplier or manufacturer immediately to seek further advice. There also may be reporting requirements to government bodies, depending on your state or territory. You can store vaccines in either a domestic refrigerator or a purpose built vaccine refrigerator. Even if you have a purpose built refrigerator, there is still the risk of going outside the safe zone without you even knowing. This is why we recommend you make use of a temperature logger. A quality temperature logger, such as a Thermochron, will help you ensure the temperature remains constant throughout the refrigerator. They keep logging day in, and day out. Even if the refrigerator loses power, you will still have results you can check to see if the vaccines are still usable or not. When you connect a Thermochron to your computer, you can view graphs to check the temperature at any point in time. This process only takes a couple of minutes, and can be done as often as you like. A Thermochron will cost you less than $100. This is a worthwhile investment, and delivers peace of mind. You will never have to wonder about the quality of your vaccine again.